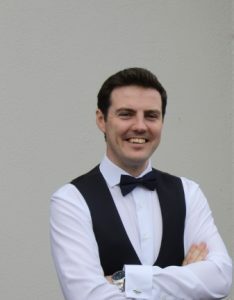 Brendan is a native of Creggs, County Galway and he joined Connellan Solicitors in October 2017. Brendan trained as a Solicitor in the dynamic firm of Partners at Law Solicitors, Dun Laoghaire, Co. Dublin. After qualification, Brendan gained further post-qualification experience with Liston Solicitors in Donnybrook, Dublin 4 before moving to Connellan Solicitors. Brendan is experienced in all areas of general practice. However, he has a particular focus in the areas of Litigation, Personal Injuries, Employment Law, Property Law and Administrations of Estates. Brendan has also had an article published in a leading legal publication for solicitors in Ireland. Outside of the law, Brendan has a keen interest in travelling, GAA, golfing and technology. Brendan is a firm believer in using technology to assist and progress the practice of law. To this end, Brendan and the team in Connellan Solicitors use a number of technologically advanced applications in their day-to- day practice to deal with all cases in an expeditious and efficient manner. Should you wish to discuss any matter with Brendan please contact him on (043) 334 6440 or email brendan@connellansolicitors.ie.